2018 marks the 30th anniversary of Denver Public Art, a program which sets aside 1% of every municipal capital improvement project over $1M for the creation of public art. 1 What is the Public Art program? When did it start? Denver’s Public Art program was established in 1988 by Executive Order No. 92 under Mayor Federico Peña. 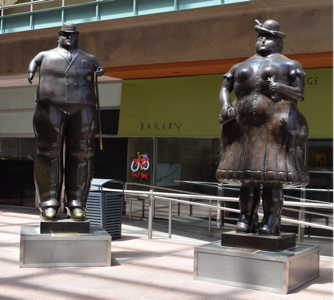 The purpose of the Order was to “…establish policies and procedures for the funding and implementation of a public art program for the City and County of Denver. The intent of the program was to “…expand the opportunities for Denver residents to experience art in public places, thereby creating more visually pleasing and human environments.” The Order directed that 1% of the construction budget of any capital improvement project over $1 million undertaken by the city be set aside for the inclusion of art in the design and construction of new projects and encouraged the participation of private dollars to enhance this public commitment. Revised language for the Public Art program was brought before City Council and became law in 1991. The Denver Public Art Ordinance can be referenced as Denver Revised Municipal Code (D.R.M.C.) 20-85 et seq. Denver is not the only city or municipality doing public art. Many cities in the Denver Metro area as well as Denver Urban Renewal Authority and RTD and the State of Colorado also fund public art programs. 2 Which city department oversees the art selection process? Arts & Venues houses the Public Art program and guides its activities, including maintenance of the art collection. The Mayor’s Commission on Cultural Affairs oversees the activities and policies of the Public Art program. 3 What kind of projects qualify for the Public Art program? In accordance with the Public Art Ordinance, any Capital Improvement Projects (CIP) with a construction and design budget of over one million dollars qualifies for inclusion in the Public Art program. In addition, the CIP must involve improvements to or new construction of a “building or structure, road, streetscape, pedestrian mall or plaza or park” or any other project which includes “finished space for human occupancy” and will be “available for public view.” (see D.R.M.C. 20-86 (b)) For CIPs that meet both of these qualifications, one percent of the construction budget is set aside for artwork at or adjacent to that site. Exclusions include: temporary improvements, ordinary repair and maintenance projects, mechanical and electrical projects, and other projects not available to public view and for human occupancy. 4 What are the goals of the Public Art program? Be selected in a fair and transparent public process. 5 How many works of art are there in Denver? Are they all paintings and sculptures? Denver’s collection totals more than 400 pieces, but many are historic pieces, and many are donations from outside donors. Public Art is certainly not limited to the more traditional art forms. 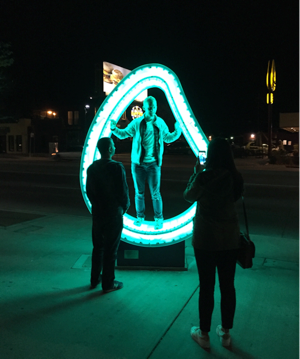 Denver’s Public Art program has pieces in its collection that include sound art, projection and light-based works, interactive new media pieces, temporary fiber-based works, and even performance-based works. 6 How does the art selection process work? 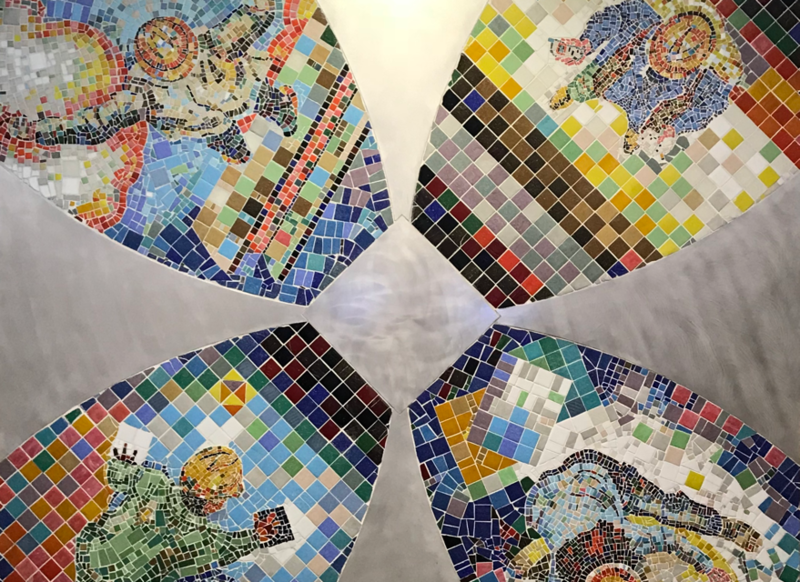 Denver’s Public Art is selected in a fair and transparent process by a project selection panel comprised of a balance of community members who live or work near the project site and members who are more widely experienced and knowledgeable about art. These varying viewpoints will help the panels make the best possible selections of art. The selection panel is responsible for reviewing the site, establishing criteria and writing a call for entry, reviewing applications and selecting and interviewing semi-finalists and finalists. Once an artist (or group of artists) are chosen, the selection is forwarded to the Public Art Committee, the Commission on Cultural Affairs and finally the Mayor for approval. For more information about Public Art policies, visit our guidelines and policies page. 7 I'd like to volunteer as a juror - how do I do that? The public art staff is always looking for open-minded, enthusiastic jurors to help us in the art selection process! Send us an email with your name and address and brief background information to: public.art@denvergov.org or call 720-865-5563 and speak with a public art staff member. 8 How many works of art are there in Denver? How can I find out more? Since the inception of the Public Art program, the city has installed more than 300 new works of art and together with historic and donated artworks, the collection in 2018 totals more than 400 works of original art. 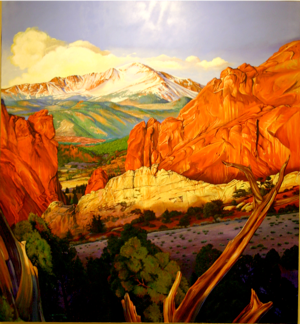 Approximately 55% of the artwork in the collection is created by local Colorado artists. You can find out more about the collection in a variety of ways. We have an online archive or printed guide available for download or by calling 720-865-5563 or emailing public.art@denvergov.org. If you want to hear more about a select group of works in our downtown collection, call 1 (877) DEN-ARTS to hear interview with artists. 9 I'm an artist - how can I apply for Public Art opportunities? All of our open calls to artists will be posted on our website as well as the Call For Entry electronic application website: www.callforentry.org. If you have questions about the application process please don’t hesitate to call and speak with a member of the Public Art program staff at 720-865-5563. 10 Do you offer tours of the collection? Each summer, a series of free walking and bike tours are available. Tour dates are posted on our Public Art tours page. Reservations are required. Private tours can be arranged (depending on staff availability) by calling 720-865-5563.